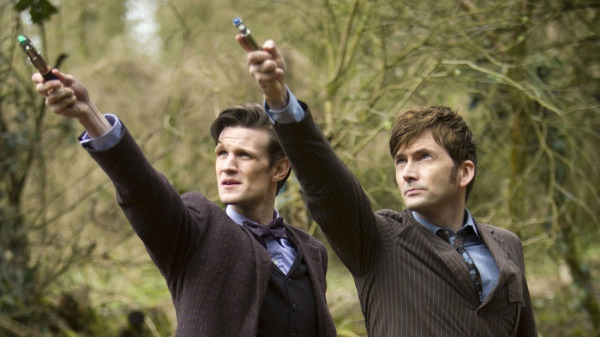 Preparing for the SSAT basically means you're doing double duty on standardized test prep--that's like having aiming two sonic screwdrivers at your own future. The SSAT is an admissions tool. But just like independent school admission itself, it’s also a tool for the next steps in a student’s life. The SSAT’s format and content are similar in many ways to those of the SAT. The most helpful and effective way to think of the SSAT, and of SSAT tutoring, is as the first step in preparation for the SAT. Below, I’ll break down some of the similarities between the tests, and the ways in which preparation through structured one-on-one tutoring on the SSAT can carry over as early preparation for the SAT. The SSAT, like the SAT, tests first and foremost a student’s ability to work within a time limit. For some students, the SSAT is the first time they’ve encountered a test environment this pressurized in terms of time limits. When approaching the SSAT, timing has to be taken into account along with all other strategies. However, the difficulty this time limit presents can also be useful for a student’s self-awareness and resulting test preparation. His or her reaction to the SSAT’s time limit is a good predictor of a students’ test anxiety or other time-limit-related issues. These may be issues that have never surfaced before in the case of many students, and recognizing them early will help not only with the SSAT, but with making longer-term decisions about how to prepare for the SAT. The SSAT asks students to work with a high volume of multiple choice questions. As students will learn when they encounter the SAT in high school, multiple-choice questions require a type of thinking distinctly different from that which even the best students practice in their academic work. There are numerous strategies for approaching multiple-choice questions effectively, and preparing for the SSAT with an experienced tutor can help a student to become familiar with these strategies. By approaching the SSAT’s multiple-choice questions this way, students build a foundation for their work on the SAT. The same strategies will apply when students take the SAT, and so rather than having to learn new strategies, they can build on ones that have already become highly familiar. It should go without saying that the material on the Math SSAT and Math SAT differs greatly, as the tests are intended for students at very different points in their Math curriculums. However, on both tests, doing well on the Math section is far more about logic than about mastery of the material itself. This kind of logic-based approach to Math questions will carry over from SSAT preparation to later SAT preparation. Similarly, while the material on the Verbal sections of the SSAT and SAT will vary according to relevant grade level, the approaches needed to optimize one’s score on each will not. Reading for a multiple choice test is a distinctly different skill than reading for an English or History course. Beginning work on these reading strategies for the SSAT means that those strategies will build a foundation for reading strategies when students take the SAT a few years later. A student’s SSAT score change can be translated into and understood as a predictive score for the SAT. Although the score can and likely will change dramatically between the two tests, a student’s strengths and weakness will likely remain similar from SSAT to SAT. Working with a student on the SSAT, a tutor can break down the SSAT score, showing how the demonstrated successes and problems will translate to the SAT. From this score breakdown, the student and tutor can begin to outline a preliminary SAT course that caters to the specific student’s needs and innate abilities. This kind of strategizing puts students who use the SSAT as a predictive score in such a way far ahead of most others by the time they’re ready to take the SAT itself.